Every time you use the net, the pages that are displayed and the information you see come to you courtesy of Hyper Text Markup Language or HTML. Your web browser reads HTML documents and then transforms it into web pages. It goes without saying that if you didn’t have HTML, you wouldn’t have Internet. The net is interactive, has images, pictures, objects and apps because of this very program. It is considered the golden standard and provides support for mobile browsers such as tablets and smart phones and desktop systems. As cool as this may sound, what we have now is the HTML5 programming which is set to revolutionize our web experience. The new version aims to better the language of the Internet using the latest multimedia and also to ensure that while it is understood by devices it is also not an issue for humans to comprehend. It is hoped that with this introduction, the web might be unified to one common markup language, thus making for less syntax errors and more interface between various web browsers and software products, creating a stable environment. What we will see are a revamped version of the existing scripting application programming interfaces or APIs like drag-and-drop tools. We will also see better Web SQL Database and Web Audio, among other attributes. Speaking of audio, you might be able to use HTML5 in Pandora and YouTube to play your songs and movies. Move on Flash! Flash may also be redundant in the many charts, graphs, games and pictures that can be built into the programming code and user interaction. In fact, you won’t need a plug-in either for this work. You can use Geo location for HTML5 to pinpoint your location and then bring required information to you, like answers to search queries, or carry information from you to the world like your Tweets. Users will experience better quality in chats, search front-ends, discussions and forums and when they build wikis. They will also enjoy better controls with text inputs and search boxes as the tools interact, focus and validate data, all the while coordinating with other page elements. You will get more space to store your information and databases in the case of email. Offline storage will not require a plug-in which means less dependence too. 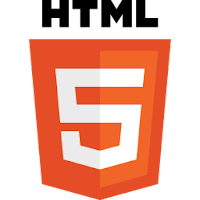 HTML5 can be seen in Apple, Mozilla, Safari, FireFox, Chrome, Opera and Google. You can find videos that highlight its many capabilities. Suffice it to say that HTML5 is an experience that promises more and that can only be good news for all of us. This article has been brought to you by Time Warner Internet - the leading provider of best values broadband Internet. Time Warner Internet is a major reason why the cable industry and digital technology is at the fore-front of the industry today. SOme new web program to ponder since Xhtml; thanks for this.